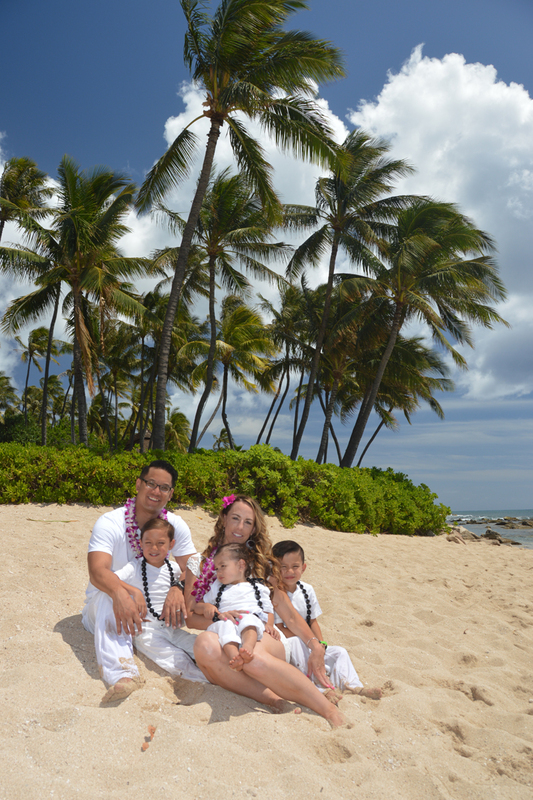 Paradise Cove Beach makes a nice backdrop for family photos. 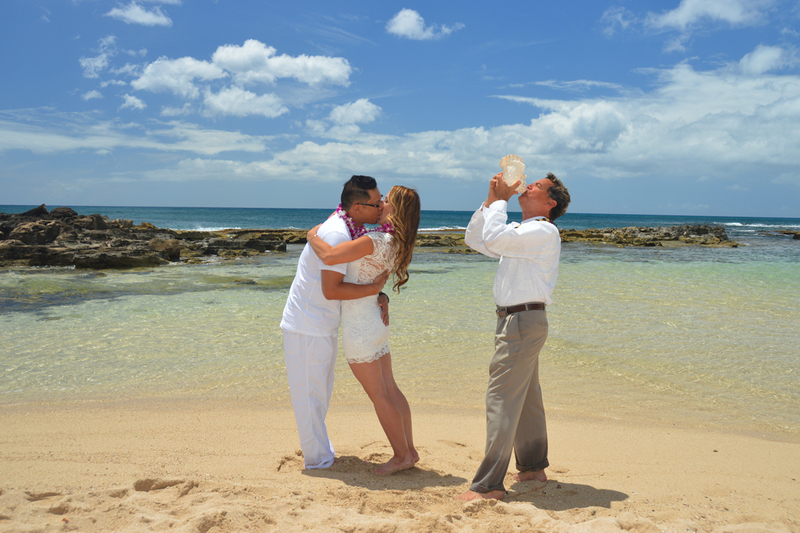 Daytime pics recommended. This beach gets more crowded around sunset. 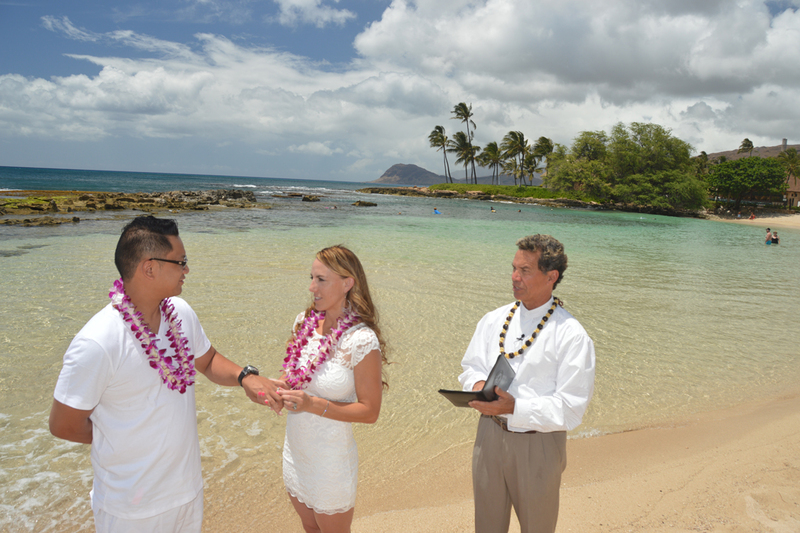 Francis & Sherese from Las Vegas renew their wedding vows at Paradise Cove Beach in Ko Olina.